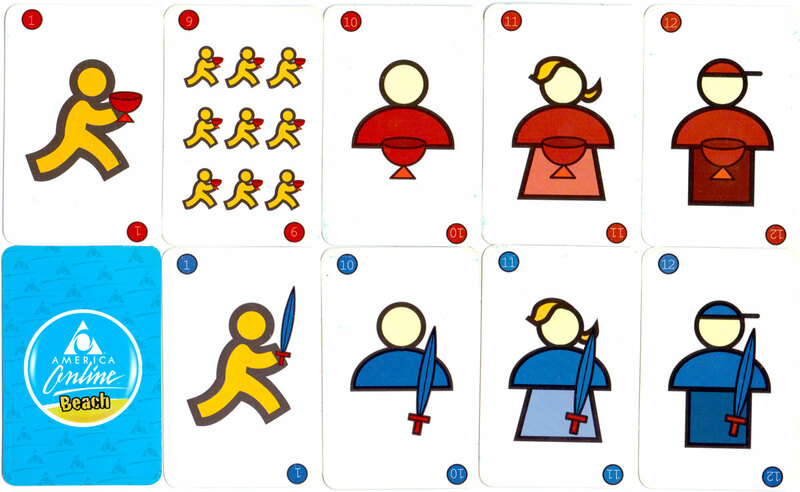 «America Online Beach» promotional playing cards, Spanish suit system, non-standard designs, 2006. The modern-day American beach vacation is a relatively new concept! 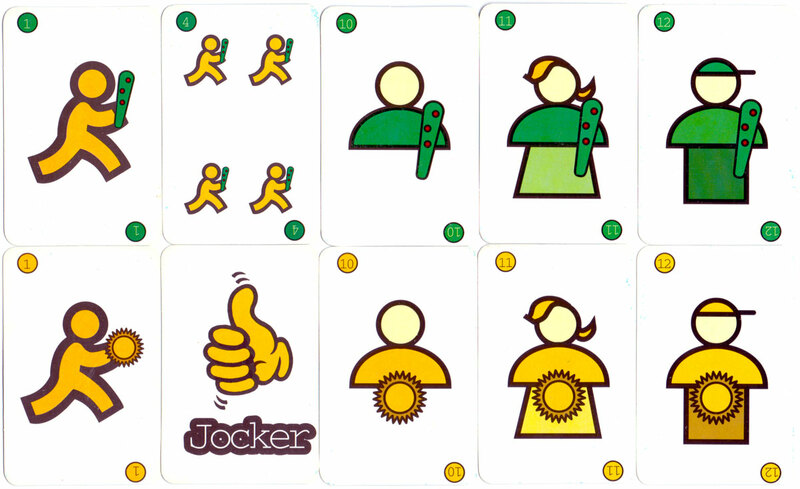 Above: America Online Beach playing cards, Spanish suit system, non-standard designs, 2006. 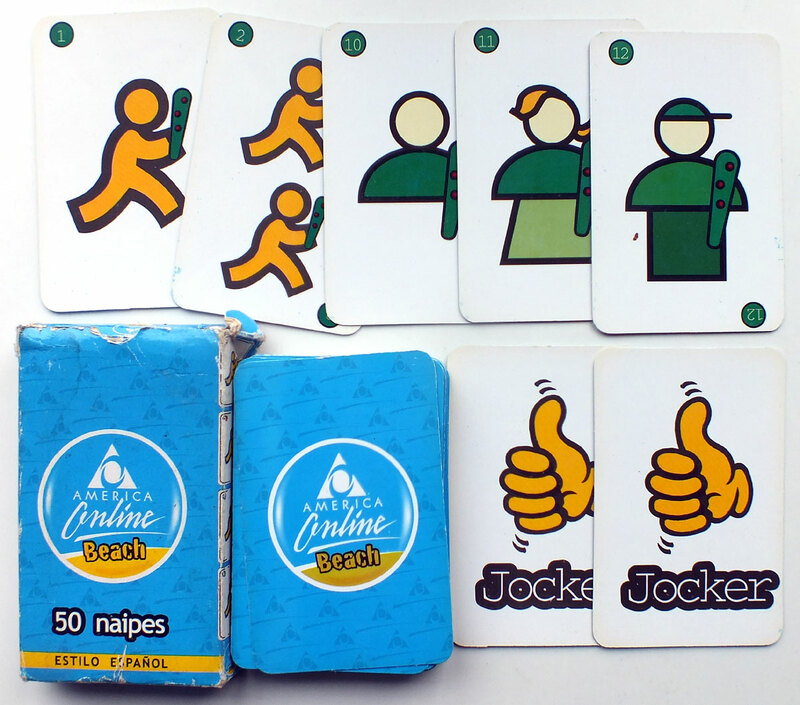 The reverse and the box feature an AOL Beach logo on pale blue bkground. 48 cards + 2 jokers in box.